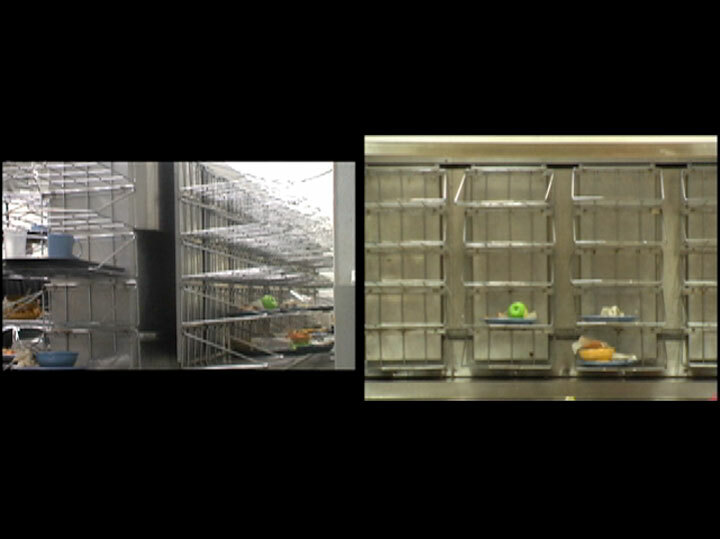 inside-outside is comprised of two video segments recorded simultaneously. 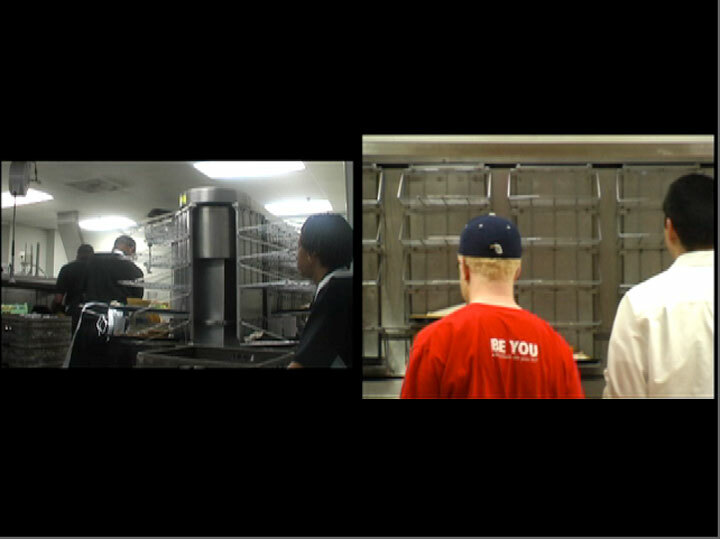 In the screen on the right, students in Washington DC pile dirty dishes onto an industrial machine that fills the frame and perpetually carries them off-screen to the left. 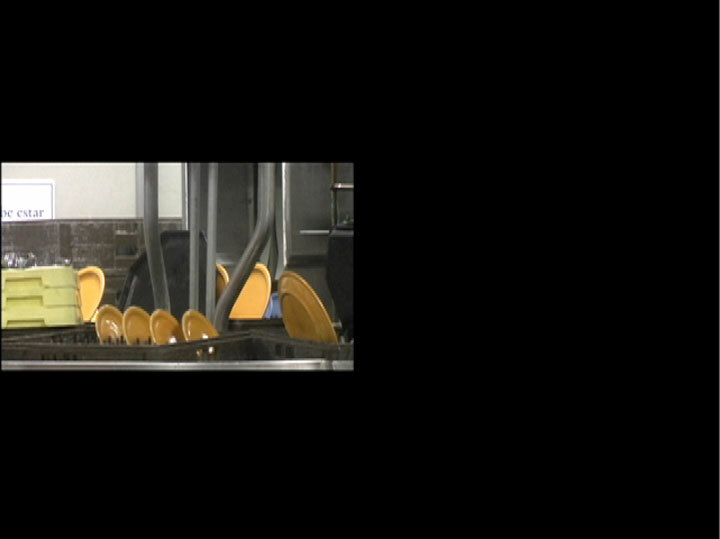 Sound in this space is loud but jovial and the visual patterning that the machine and the piles of dishes make relate to the random musical patterns of the students movements and sounds in the lunchroom. 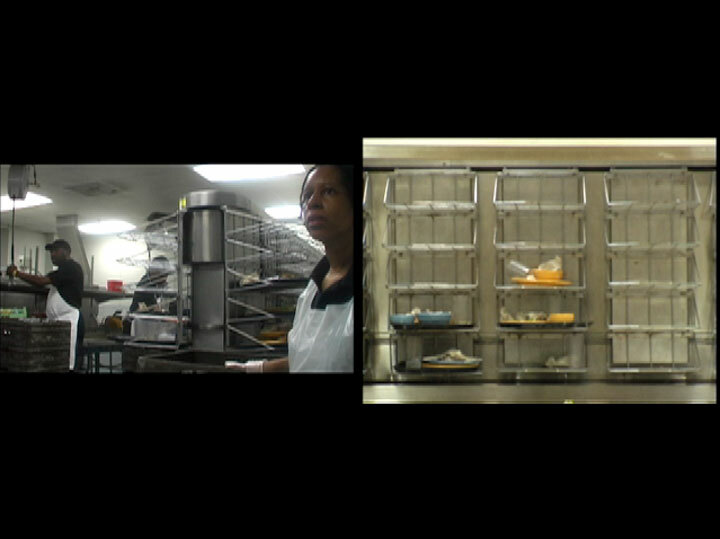 On the left screen, the student’s dishes are followed behind the large machine to see and hear the people working there. As opposed to the student space, the workers movements are circumscribed by repetitive tasks and sound in their workspace is an unrelenting din.